The knee joint is one of the most complex joints in the body. It consists of bones, ligaments, and muscles. The knee is made up of the femur (thigh bone), the tibia (shin bone), and patella (kneecap). The meniscus, a soft cartilage between the femur and tibia, serves to cushion the knee and helps it absorb shock during motion. The stability and strength of the knee joint is maintained by four ligaments: the medial collateral ligament, lateral collateral ligament, anterior cruciate ligament, and posterior cruciate ligament. When any of these structures are injured you may have knee pain and difficulty in walking. You may hear a popping or snapping sensation at the time of the injury or you may feel like your knee is giving way. You may also have swelling, limping, and inability to move the knee. If care is not taken during the initial phases of injury it may lead to joint damage that may end up destroying your knee. 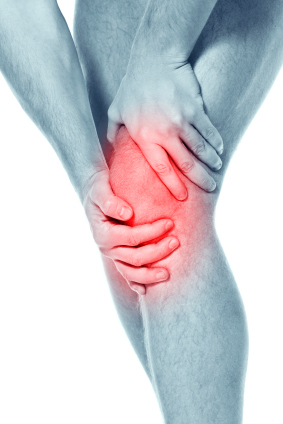 What are the common causes of knee injury? Arthritis is the most common cause of knee pain. Arthritis literally means inflammation of a joint, but is generally used to describe any condition in which there is damage to the cartilage. Osteoarthritis is also called as degenerative joint disease; this is the most common type of arthritis, which occurs often in older people. This disease affects cartilage, the tissue that cushions and protects the ends of bones in a joint. With osteoarthritis, the cartilage starts to wear away over time. In extreme cases, the cartilage can completely wear away, leaving nothing to protect the bones in a joint, causing bone-on-bone contact. Bones may also bulge, or stick out at the end of a joint, called a bone spur. What is the diagnosis for knee pain? For proper diagnosis and treatment plan, your doctor will ask about your symptoms and history of any injury and then perform a physical examination of your knee. Several tests are performed to evaluate the ligaments of the knee. Your doctor may also order other tests such as MRI, CT scan, and X-ray to help diagnose more complicated or severe injuries.